Our first Yoga Teacher Training was a 200 hour training on Nusa Lembongan in Bali. Our teacher was Leah Sugerman who led us on our first step into the world of professional Yoga and who instilled her love for anatomy in us. 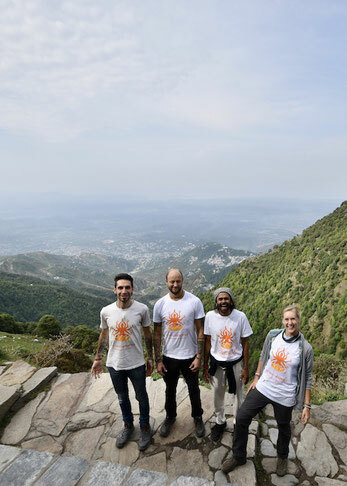 Our advanced Yoga Teacher Training of 300 hours is currently taking place in Dharamsala, India, under the guidance of Shree Hari.